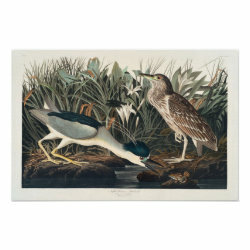 This is a beautiful reproduced art work by famed American bird artist John James Audubon. 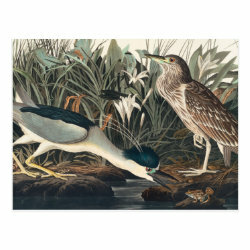 The species is the Black-crowned Night-heron and an adult and More... juvenile are featured, both in dynamic, life-like form. 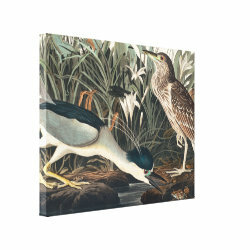 In Audubon's day, the bird was known as the Night Heron or Qua-Bird. This work was done around 1835 to be a part of Audubon's masterwork, Birds of America.